Wear your Indians spirit with pride in this Cleveland Indians Long Sleeve Hoodie! 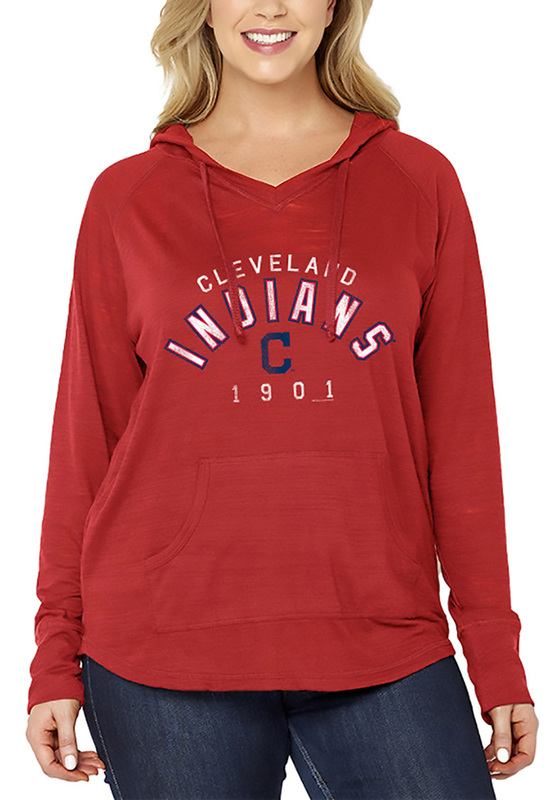 Fight off the chill in this Cleveland Indians Womens Red Arch Wordmark Hooded Sweatshirt. This Indians Long Sleeve Hoodie features a distressed screen print arched team name, logo, and year on center chest. This hooded sweatshirt has draw strings and a pocket to store your things while cheering on the Indians.